Haven’t done a badass skiff in awhile…here’s a unique one for the books. 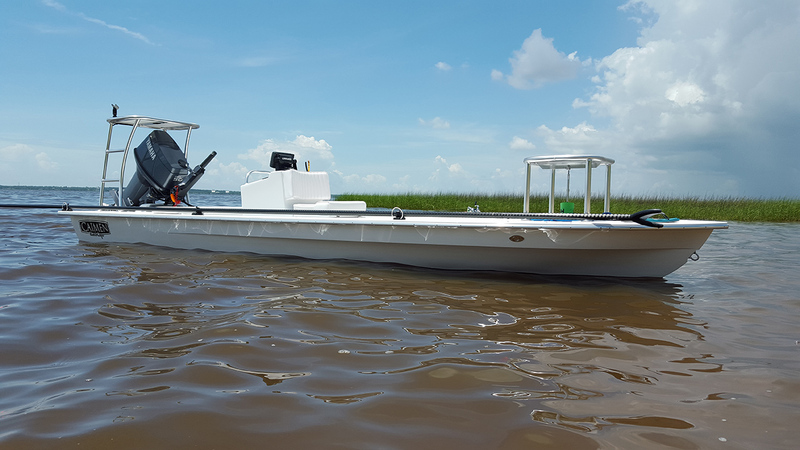 The owner of this newly-built East Cape Caimen is an avid angler in the Gulf Coast region and has been through many skiffs the past few years. From Skull Island to Gheenoe- he’s owned it all. After all that skiff ownership he landed on an East Cape, and for good reason. “After fishing out of a Vantage and then my brothers 2011 Caimen, I was sold,” he said. It is the first tiller Caimen with a center console. I wanted the clean decks with no hatches. I really like simple skiffs with the least add ons. Nothing for the fly line to snag on. The skiff is completely cloud white. 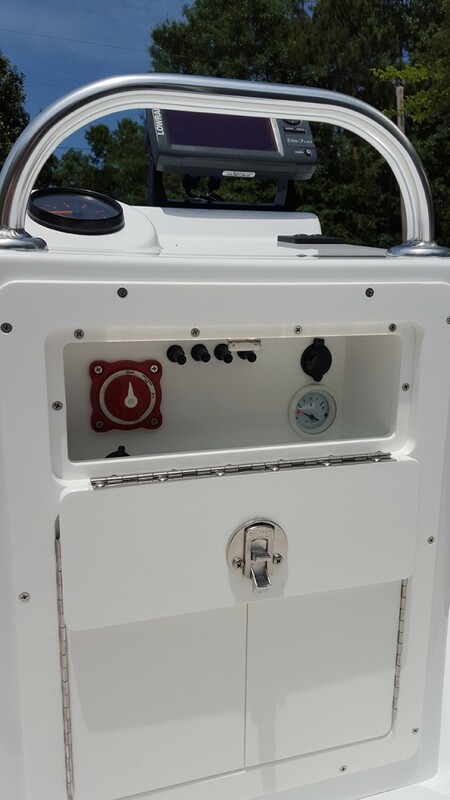 Center console with insulated jump seat. The tach is mounted in the raised area of the helm. I found a mint 2006 Yamaha 50 with 35 hours on it. Perfect for a Caimen. I also went with a 20 gallon tank for long runs in the Biloxi Marsh. 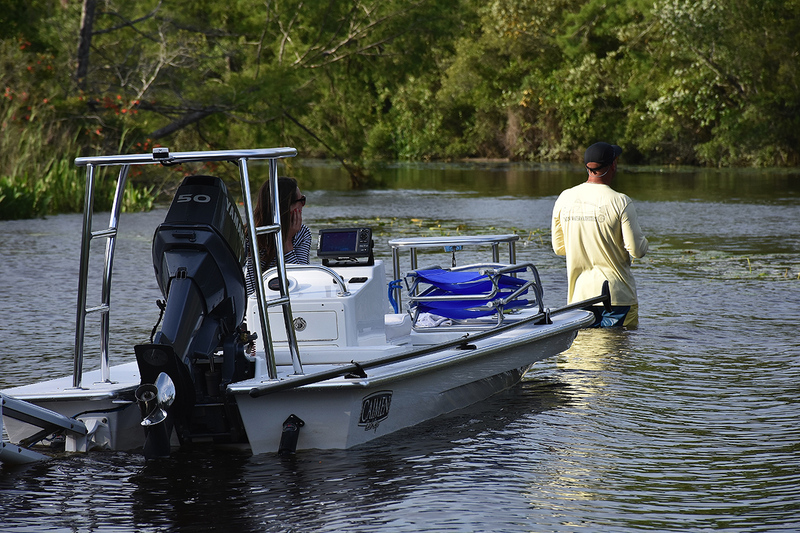 The skiff handles like a dream, having the tiller in the Mississippi marsh is special. I have only polled 7 different boats- the Caimen is amazing in the wind. The nose will track into the wind which makes it very easy to hold its line. Minimal correction needed with the push pole. Handles rough water and fishes with the feel of a much bigger skiff. 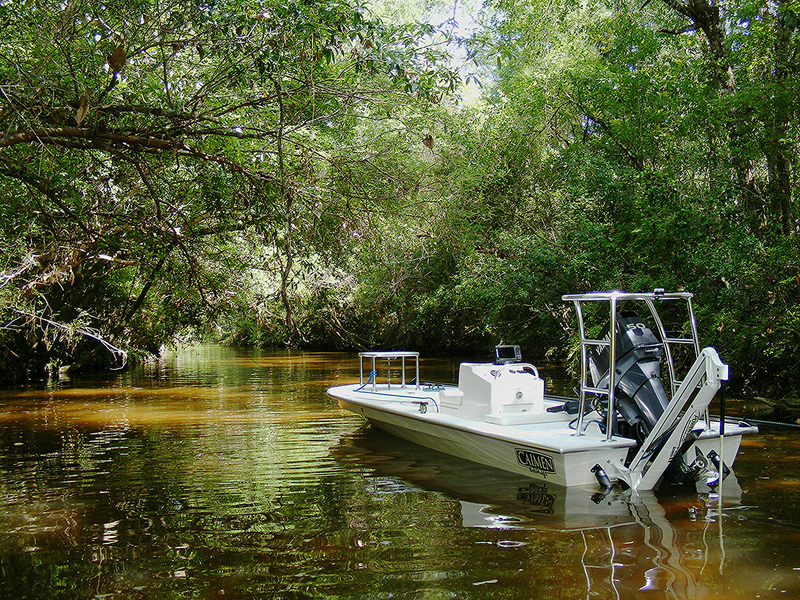 The Caimen is versitle skiff for fishing and family.